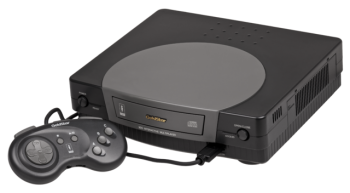 The 3DO Interactive Multiplayer (or 3DO) is a console developed by The 3DO Company and licensed to Panasonic, Sanyo, and GoldStar. This console is rather infamous among gamers for its exorbitantly high price tag at launch. There are a number of useful tools available at altmer.arts-union.ru (Website in Russian). This is a program used to extract the contents of a 3DO CDROM image. This is a program used to convert roms, unextractable with unCD-ROM by defaut, to a format that can be extracted. This program allows you to view most of the 3DO image formats and convert them to .bmp format, watch CVID videos, and extract BIG archives. The source code is also available to download. The extensions of the same formats usually vary from game to game, furthermore certain games use different extensions for files of the same format. In order to identify the file you may need a hex editor. This page was last edited on 6 February 2019, at 10:23.